The PCE-TM 2000 laboratory microscope is a durable device. 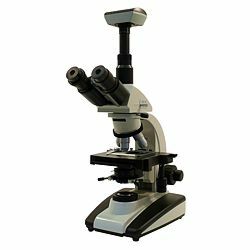 This laboratory microscope magnifies up to 2000x and can be adjusted by rotating the lens mechanism. 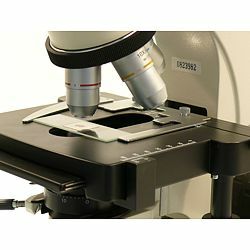 This triple eyepiece microscope allows for an optional USB camera to be connected with a dioptric correction of up to 5. Samples are illuminated by this microscope by way of transmitted light using a powerful halogen bulb. 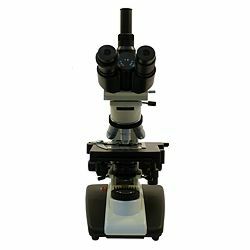 The combination of accuracy and durability make this laboratory microscope an ideal tool for daily use. 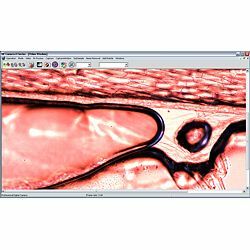 We also offer an optional micro lens which attaches to the eyepiece of the microscope allowing images to be viewed directly on a computer display allowing them to be processed and documented for later use. 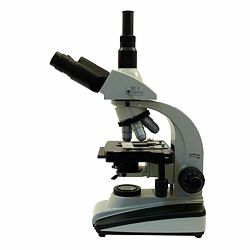 The laboratory microscope is used in private laboratories, Universities and also for private use in general. 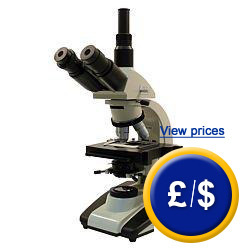 If you wish to see another type of microscope, click here. Here is a colour image at a magnification of 800x. Here is a black and white image at a magnification of 800x. Here is a colour image at a magnification of 200x. Here is a black and white image at a magnification of 200x. We offer a seven piece kit used for preparing the lenses of the microscope. We also offer a high quality USB camera. The camera has 2 mega pixels and offers the possibility to transfer images to a computer. The model of microscope that PCE has available which is better than the laboratory microscope is an electron microscope. The electron microscope uses electrons in place of light to project an image. This class of microscope increases the velocity of electrons to obtain a shorter wave length and has a higher resolution than created by using light because electrons have a wave length that allows for smaller structures to be made visibly clearer. 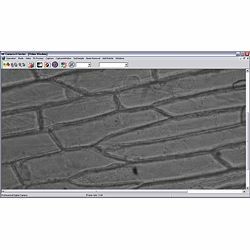 Images are produced in black and white when using an electron microscope. The electron beam is produced by way of a piece of tungsten. 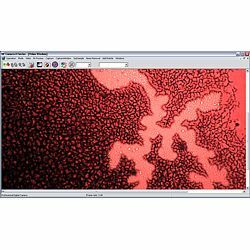 There are two types of laboratory microscopes that work according to this principle, the scanning electron microscope and the transmission electron microscope. The maximum resolution f modern laboratory microscopes is, at best, 200nm and 3nm for a scanning electron microscope and 0.2nm for a transmission electron microscope.